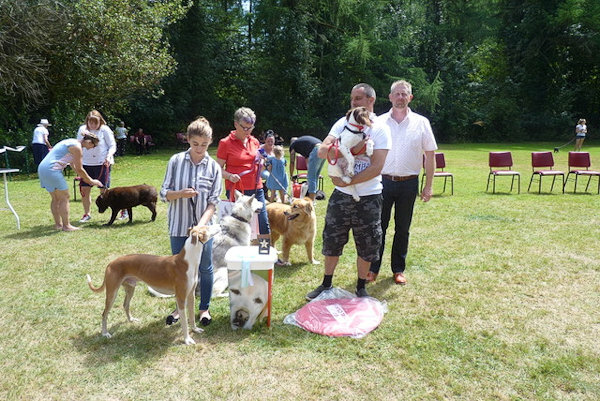 Sunday 22nd July: Fun Show - we were blessed with the dry weather and considering the number of other Shows held on the day, the Show was well supported; the Judge, steward and committee held up well in the heat ; and the exhibitors were sensible with their dogs, keeping them in the shade of the trees. With a small mountain of prizes and awards donated for the class and main winners, I hope everyone who turned up was pleased they had and perhaps the word will get around for next time ! 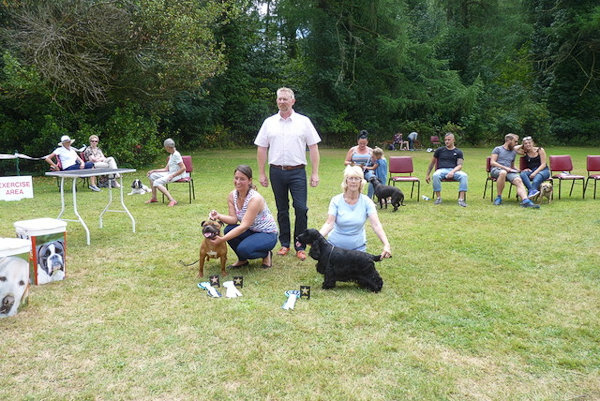 The winner of the Best Pedigree was a black cocker spaniel; Best Puppy a Staff; Best Novelty - a handsome dog named Chief; Reserve Best Novelty; Dixie and Best Novelty Puppy - Chloe. 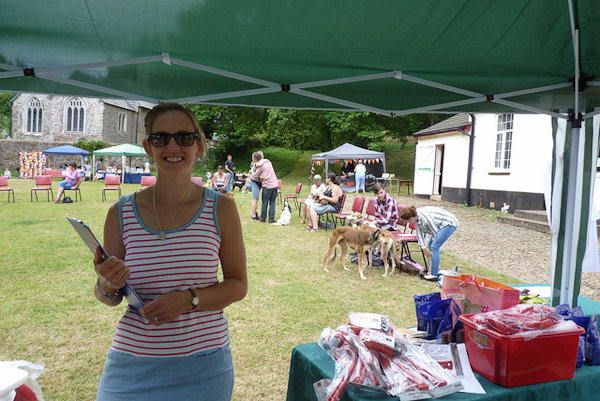 The Club appreciates the support of both exhibitors and "helpers". Best Novelty in Show - Chief (Ibizan) and Best Puppy, Chloe, held by her owner. © Devon & Cornwall Cocker Spaniel Club 2009-18. All Rights Reserved.